Officeworks brings together a team of experts to help you create healthy, happy and efficient workspaces. Tim, Craig and Nick are each highly experienced in their respective fields: osteopathy, commercial design, commercial real estate and academic research. As co-founder of Officeworks Tim Hanwell’s particular interests are in creating healthy office environments and reducing the risk of workplace injuries and he utilises his medical knowledge to help companies improve the health and wellbeing of their sedentary staff, reduce absenteeism and increase productivity. 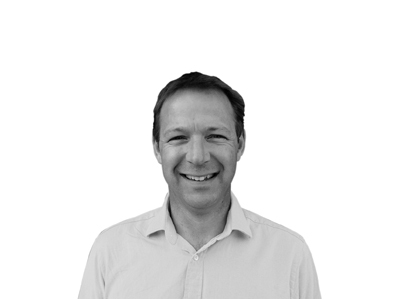 Tim has been a fully qualified osteopath since 1994 and is an expert in musculoskeletal disorders, pain and injury associated with sitting, and repetitive strain injury (RSI). He is also fully trained to carry out workstation and Display Screen Equipment (DSE) assessments through his company The DSE Partnership. 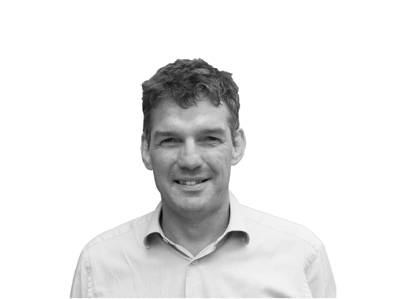 Tim has a wealth of experience and has worked with clients including the BBC, London School of Economics (LSE), Rolls Royce, Ted Baker and the NHS to overcome musculoskeletal injuries as well as reducing unhealthy habits at work. As part of his work with the LSE Treatment Clinic Tim lectures on the risks of suffering from musculoskeletal symptoms in the workplace and he also recently gave a talk at the popular Workplace Trends conference outlining the most common workplace injuries and how to avoid them. 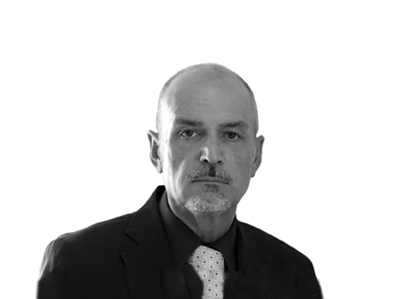 Craig Phillipson is managing director of Officeworks and its partner company, retail consultancy Shopworks. He founded Shopworks UK in 1997, and has led the company through a period of major international growth. Craig has overall responsibility for Officeworks, and leads the company’s strategic direction and development. With more than 20 years’ retail consultancy experience, Craig has held senior management positions with multinationals such as BP and Kodak. He has also provided consultancy to a range of major companies, including Sony Ericsson, O2, Epson, Nestle and Carrefour. His particular strengths are identifying business development opportunities and responding to individual market specifics. Achievements include turning a cluster of 36 loss-making pubs into profitable businesses at Boddingtons, and running a 300-strong UK retail franchise which achieved major sales increases. Craig is a regular speaker at conferences and industry seminars across the globe. In 2009 he was presented with an award for his contribution to Indian retailing. Away from the office he is an under-14s rugby coach, having previously played rugby himself for Flanders and Chile. Zoë Bigsby is the newest member of the Officeworks team. With an interior design degree from the University of Huddersfield, Zoë joins Officeworks as an Interior Designer and will be assisting the team with design concepts, layouts and creating 3D visuals. Before completing her final year at University Zoë spent a placement year with a London design practice and Shopworks international retail design agency (our sister company) working on an array of projects and getting a feel for the industry. Zoë has experience of working across restaurant, residential, office and retail design, and loves the process of working on a design and developing it to answer clients’ needs. She enjoys the attention to detail required in all aspects of the design process and the excitement of seeing a project moving to the next stages. Emily Spurr has recently joined the Officeworks team as Project Manager. 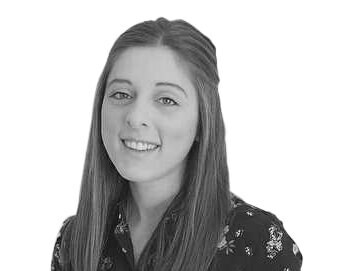 With over two years’ experience as a project assistant for data centre refurbishments Emily will be putting her scheduling and structured planning skills to use to ensure that Officeworks projects run smoothly as well as on time and on budget. 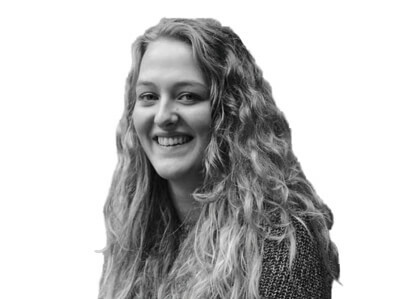 Office refurbishment and fit-out success relies on a detailed understanding of a client’s individual requirements and Emily will be working with customers to ensure that their requirements are met exactly. She particularly enjoys the problem solving aspect of being a Project Manager and the satisfaction of seeing a successful project through from start to finish. When not in the office Emily enjoys yoga, walking and is a keen rugby follower contributing to the Officeworks team (sometimes heated) post match discussions. Nick Nunnington has been involved in real estate solutions for occupiers as both an academic and practitioner for 30 years. He was examining strategic corporate real estate; productivity in the workplace together with the linkages between real estate and corporate strategy many years before it became a mainstream activity. He is also the co-author of a leading publication about Corporate Real Estate Asset Management (CREAM); written with his academic colleague Dr. Barry Haynes. Recently Nick has been involved in a number of strategic corporate relocation and activity based office configuration projects in the Middle East. Nick utilises a “CREAM toolkit ” which diagnoses positive and negative impacts upon productivity, tracks activity and connectivity within an organisation and provides data analytics which inform the design and configuration of new or re-fitted office space with evidence based metrics. His analysis is based upon years of post and pre Doctoral research by his colleague Dr Barry Haynes. In many cases he supports the change management process of a client through the use of a physical move to new space or a reconfiguration of existing space to change working practices, organisational culture and performance. Nick has gained a global insight into the changing demands that corporate occupiers seek from their offices and understands both the enablers and barriers to productivity. He supports Officeworks, where appropriate, by providing the detailed analytics needed to underpin and inform the design, layout and configuration of office space with the objective of delivering measurable improvements in performance and productivity.